What’s there to gift a girl who has it all? The hardest people to shop for are the ones who seem to have it all. And fashion girls sure know where to look. We even call it sourcing! Fret not, we at the SB HQ have done just that and searched for high street brands—Old Navy, in particular, surprised us in the best way possible—contemporary labels, luxury lines and beauty must-haves that are perfect for each type of fashion girl. Below, some gift inspiration for 5 kinds. Which ones are you shopping for this Christmas? A healthy mix of precious and tough items comprise her wardrobe. A slinky stripe dress fits the bill any day, while her denim jacket keeps her cozy and warm. Why not give her slip-ons? They’re a practical choice, but when served in blue lace, they become a statement in itself—just like that gray hat! 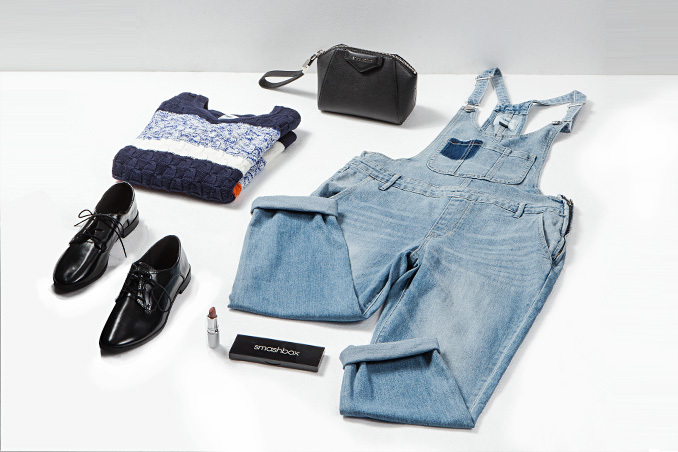 Her essentials—denim, oxfords and sensible sweaters—lend her an air of unfussy toughness, but her beauty kit will tell you otherwise. Add to her ever-growing collection by gifting her a black pouch that doubles as a clutch or a textured patterned sweater. Touches of pink litter her IG feed. A chunky knit, a bejeweled clutch or a pastoral dress are all in the running to winning her heart as long as it’s in the floral hue. Or, take the unexpected route and gift her black flats with the feminine detail du jour—mid-calf lace-ups. Muted tones of olive, mustard and brown are her thing, and she can rock them head-to-toe. 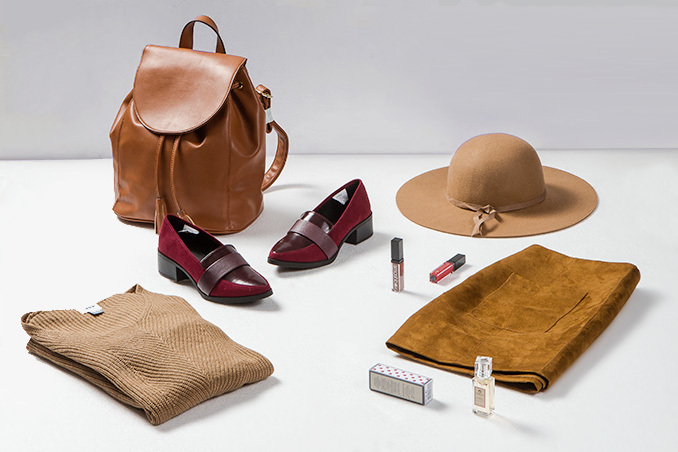 Leather, suede and wool are key materials in her closet. Gift her with any item that tick these criteria, like a backpack or a hat, and you’ll get on her good side. Windowpane checks are an iteration of her private school childhood memories, and she wears them with as much pride as she does her school colors. Go for details that complement these well, like metallic sneakers and a powder blue mini bag.